Ikea, Swedish purveyor of flat-pack stylish furniture and some rather tasty meatballs, is finally making the move into the world of smart products with its new with Trådfri lighting series. The Smart Lighting collection, which arrives in UK stores in April 2017, includes energy-efficient LED bulbs, lighting panels and doors which are all managed through a remote control. The collection also comes complete with an app which enables you to completely personalise your home lighting set-up by designing your lighting all through your phone or tablet. 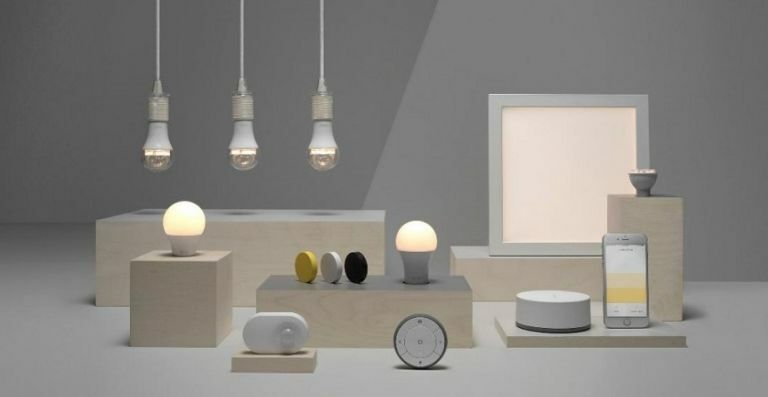 The Trådfri Smart Lighting Collection starts from £15 and comes in a variety of sets, although it won't be compatible with Amazon Echo or Google Home. The range is expected to go on sale from April. Garmin has just announced the Forerunner 935, a GPS running and triathlon watch with new performance monitoring tools and Elevate wrist-based heart rate technology. In addition to 24/7 heart rate monitoring, the Forerunner 935 includes new training features, allowing users to fine-tune exercise and recovery to be a better athlete. Easily paired with the new Running Dynamics Pod, Forerunner 935 users will now be able to see all six running dynamics without the need for a chest strap. New training features – with technology provided by First beat – make it easier for yous to monitor performance and better prepare for a race or training cycle. Training status automatically analyses previous exercise and fitness levels to provide insight into how your body is responding – letting you know if you're training productively, peaking or overreaching. The Garmin Forerunner 935 features up to 24 hours of battery life in GPS mode, up to 60 hours in UltraTrac battery saver mode without optical HR and up to two weeks in watch mode. It's available in black for £469.99. There's also a tri-bundle option – which includes a black watch face with force yellow strap, HRM-Tri, HRM-Swim, Quick Release Kit and additional strap in black – is available for £589.99. Taiwanese memory and storage facility ADATA has just unveiled a new Jet Black version of its Lightening flash drive, the Al920. The drive is a perfect tool to increase the memory of your iPhone or iPad on the go and it now comes in a far more fetching colour. The Jet Black version offers more than a stylish look that goes well with the iPhone 7. ADATA uses paint and coating materials that resist scratching, scuffing, and other forms of abrasive damage. ADATA has also tested the AI920 for water and dust resistance so that user data is protected on the go, as befits a highly portable storage device. The Jet Black Al920 flash drive for iPhone will be available shortly from Amazon and other retailers with a price tag of £99.99 for the 128GB version.